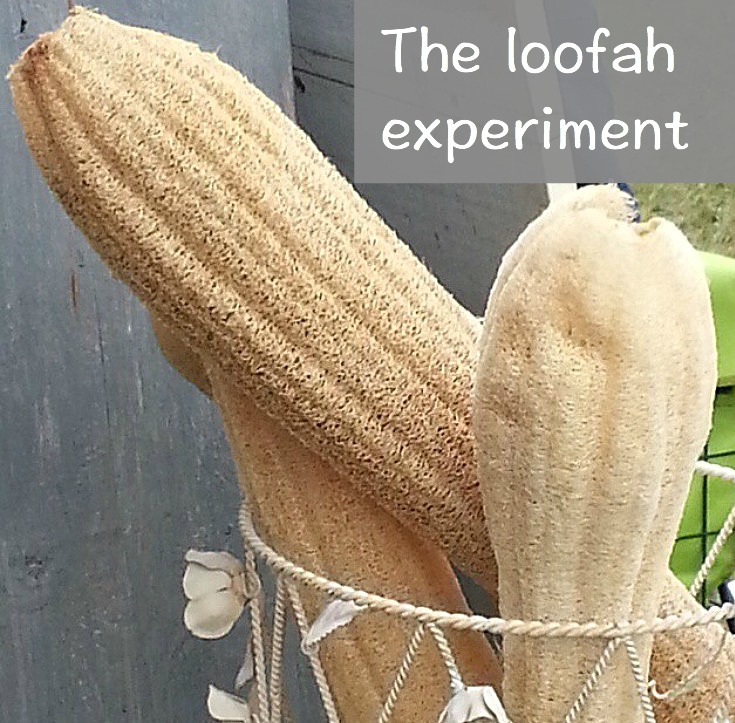 Nearly a year ago, I embarked on a gardening and soaping adventure that I called, “The Loofah Soap Experiment.” My plan was to grow a loofah plant from seed, nurture it throughout the summer and harvest tons of loofah to use in soapy projects. 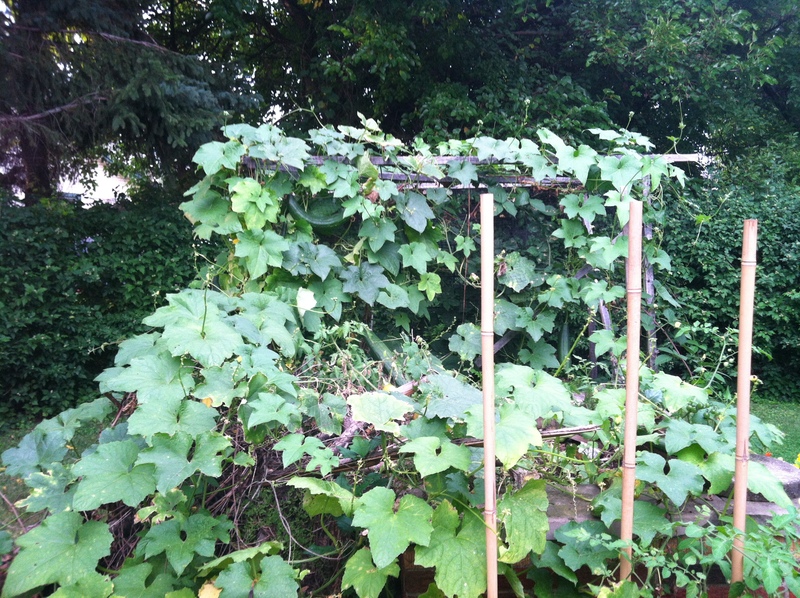 By the end of September, I had ten large loofah on the vine. I just had to wait for them to dry out so I could harvest them. I checked them every day and by the end of October, I was able to harvest two. Then winter arrived in early November and rest froze on the vine. Such is the nature of gardening in Ohio. 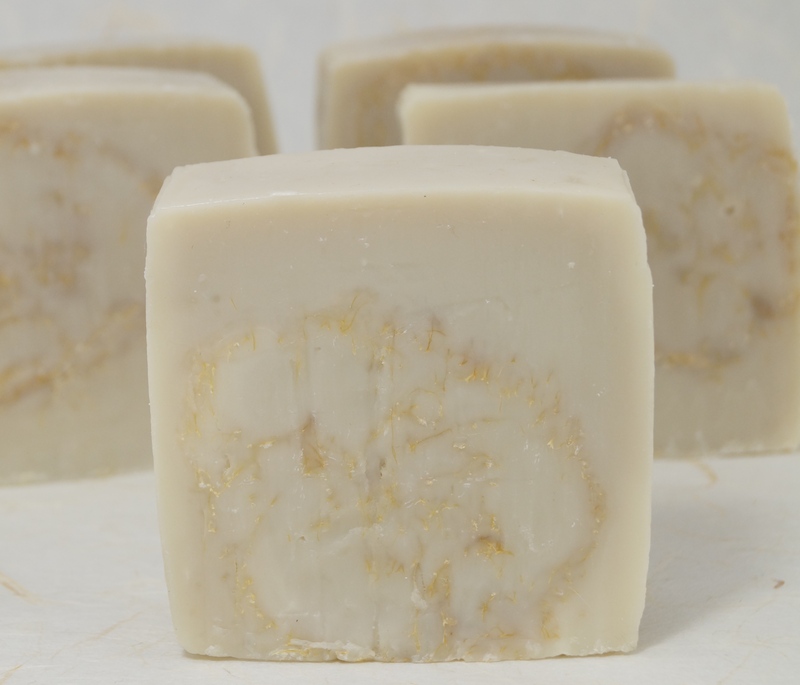 With my two survivors, I decided to make rustic gardener soaps scented with rosemary essential oil that would scrub away the most stubborn dirt while leaving hands feeling smooth and soft. To achieve the rustic look, I used recycled containers. For the first soap, I used a half and half container and left the batch uncolored. 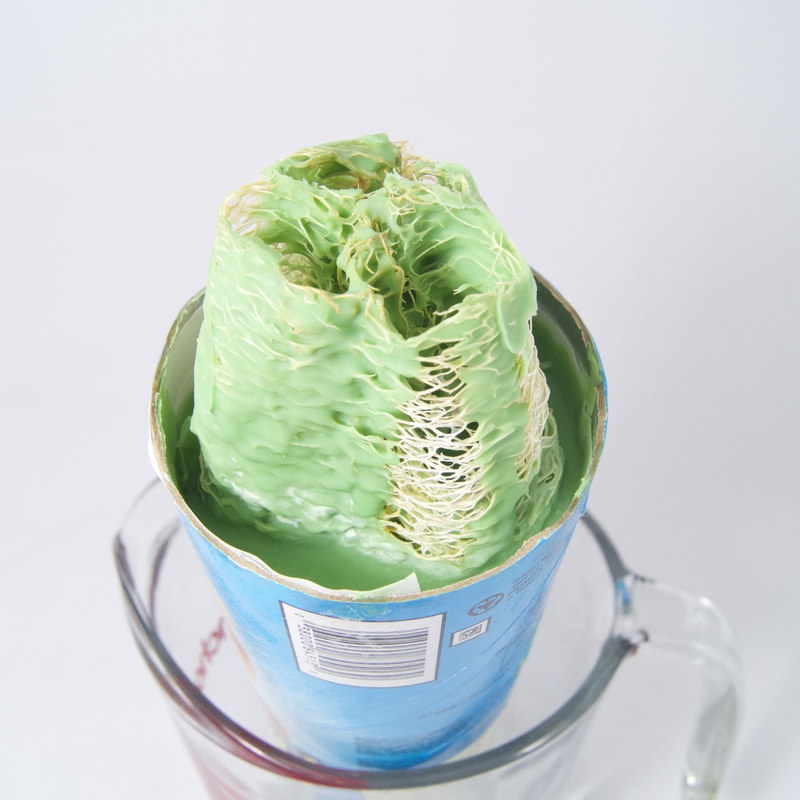 For the second batch, I used a Pringles can and colored the batch a nice shade of green. To prep the can so it wouldn’t leak, I stretched several layers of plastic wrap over the opening of the can, replaced the plastic lid, and sealed the lid with tape. Then I flipped the can over and cut the bottom off to make a new opening. I kept the loofah a little bit longer than the can thinking I could use it as a handle to help pull the soap out of the can. I quickly learned that trying to push or pull the soap out of the can was difficult. 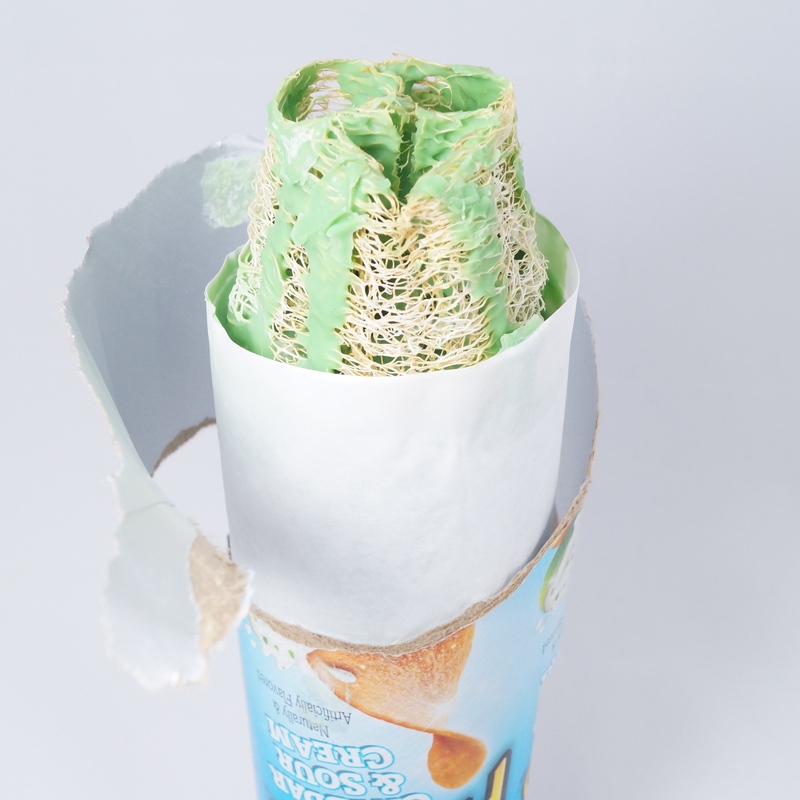 Luckily, Pringles cans are made of cardboard and I was able to peel it away from the soap instead. The freezer paper I used as a liner protected the soap from tearing when I pulled the cardboard away. To slice both soaps, I used a serrated knife and cut with a back and forth sawing motion instead of cutting straight through to minimize drag marks. I love the rustic look of both soaps but, even more, I love that they smell like a walk in an herb garden on a warm summer day. 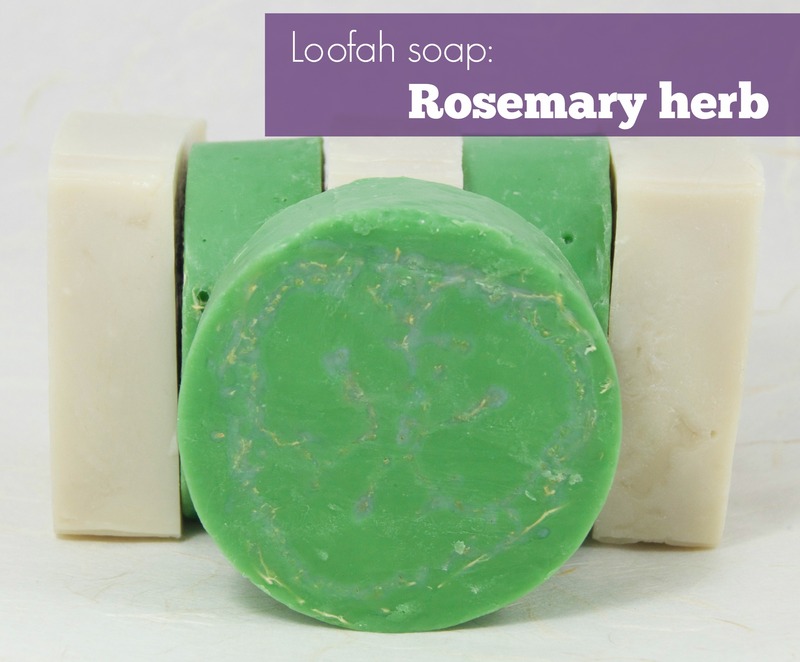 Rosemary is considered to have antimicrobial properties so these are perfect to use after a day of digging in the dirt. Both will be available in the coming weeks in the Emmet Street Creations Etsy store. 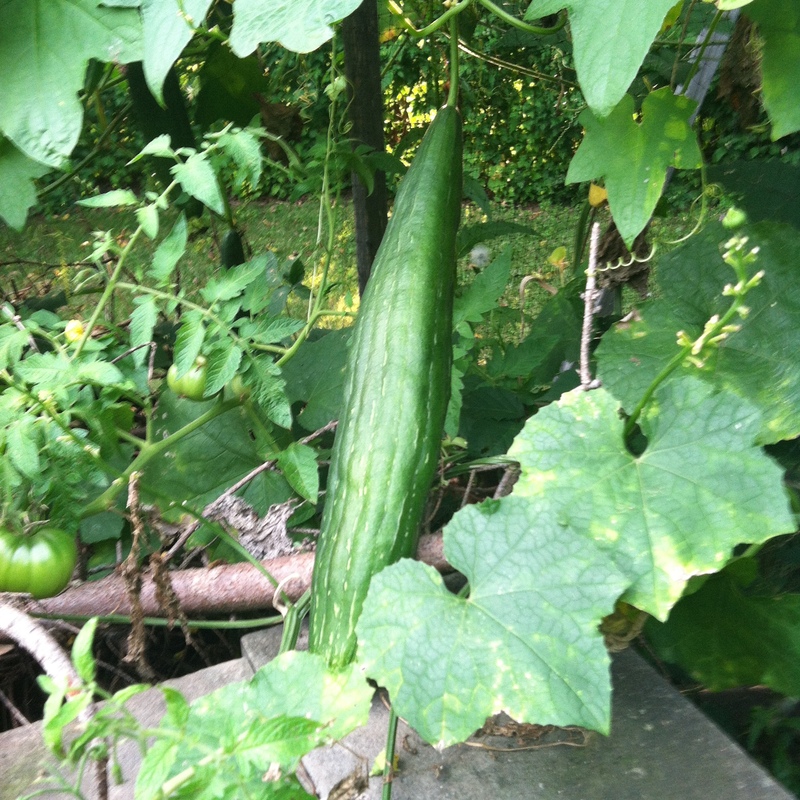 For most of the summer, I’ve been convinced that my loofah plant would never bear fruit. 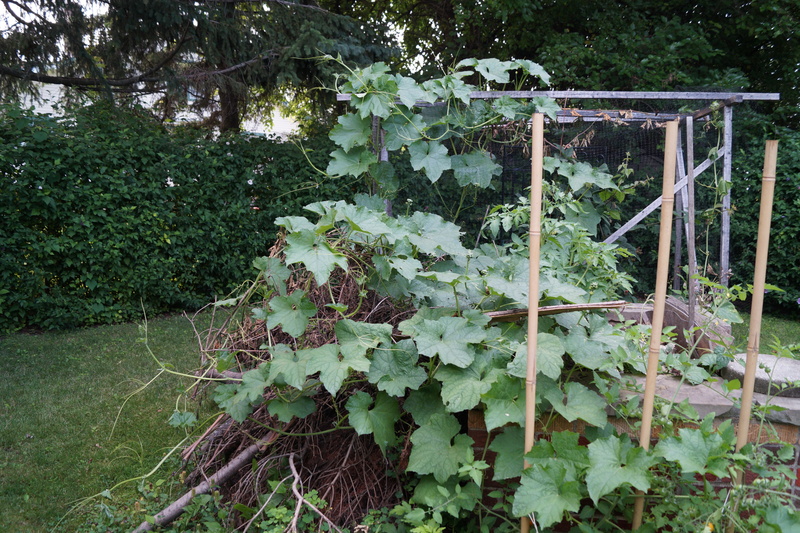 It has been an unusually cool summer and loofah plants need heat. The vines are huge and getting bigger very day. Neighbors, don’t let your cats out. Loofah hungry! The plant has been blooming for the last month, but no loofah. 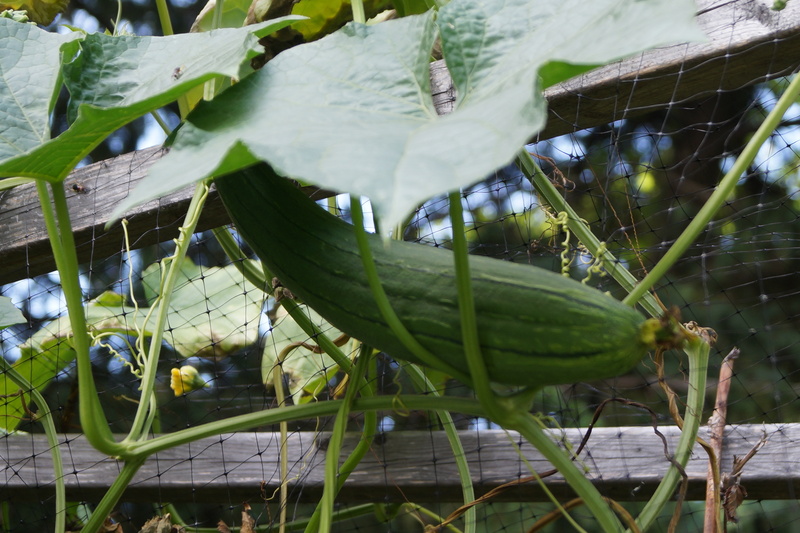 Then, we had rain and several sunny days in a row and suddenly, loofah! 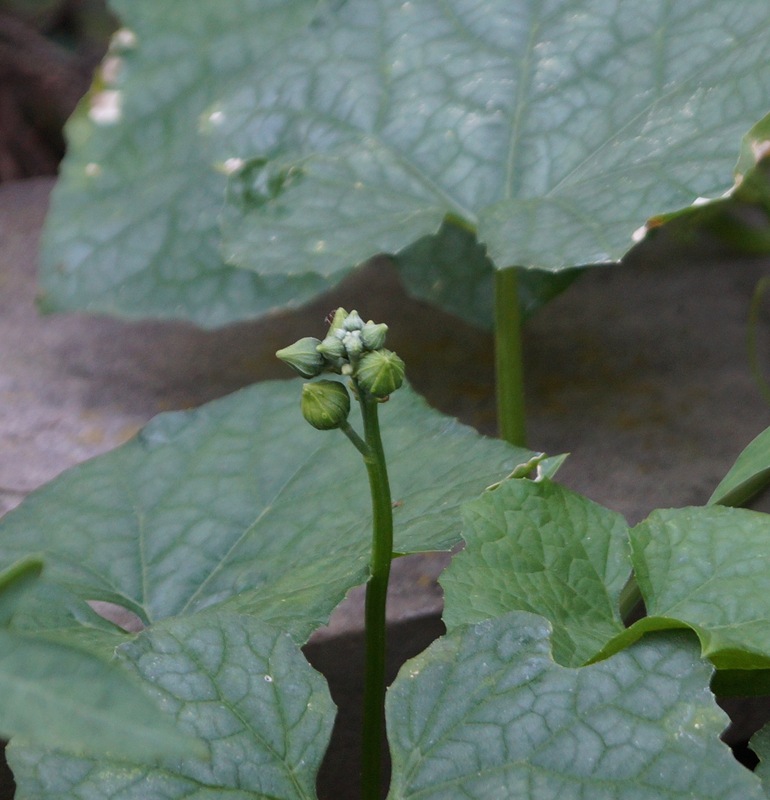 At last count, I have five little loofah growing and dozens of flower buds. 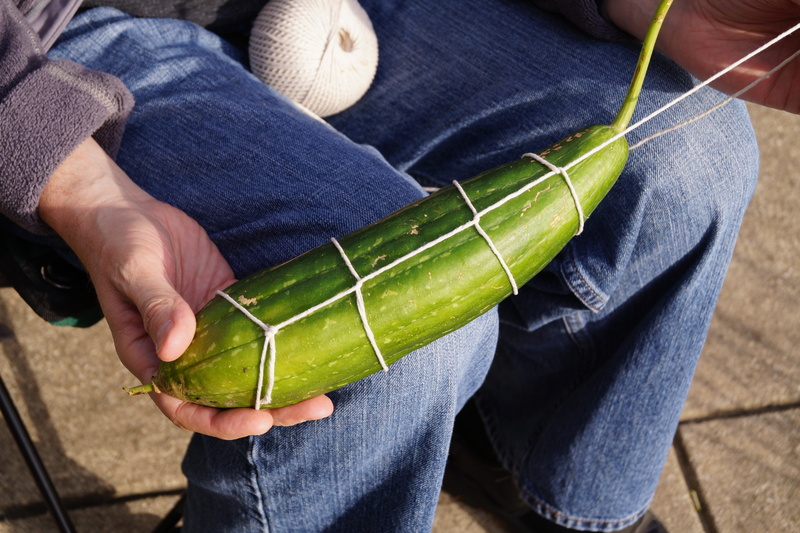 If the weather would just warm up, I think I might get at least one loofah that is large enough to dry and work with before the snow starts to fly. I might even get brave and pick a few small ones to eat. Did you miss the first few installments of the loofah saga? Catch up with them here and here. 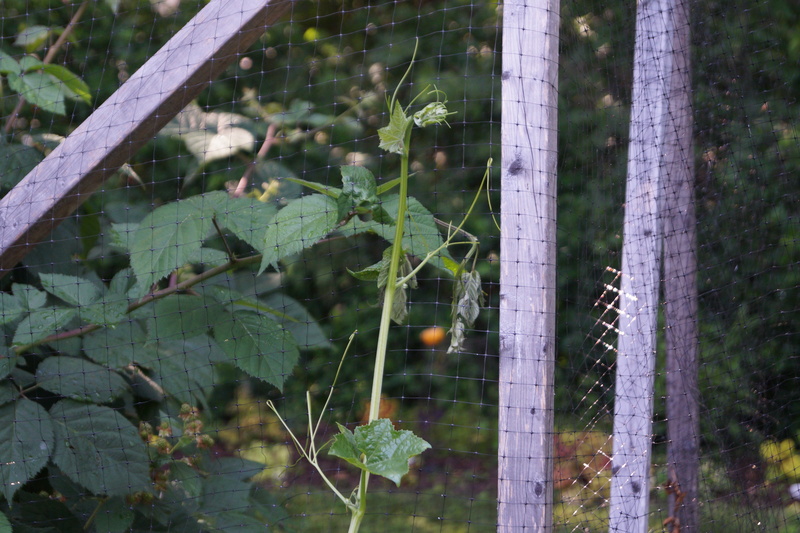 I’m not sure how big this vine is going to get, or where it’s going to go, but for now it seems happy to grow up the side of the bird net covering my blackberries. Don’t get too close to those tendrils! 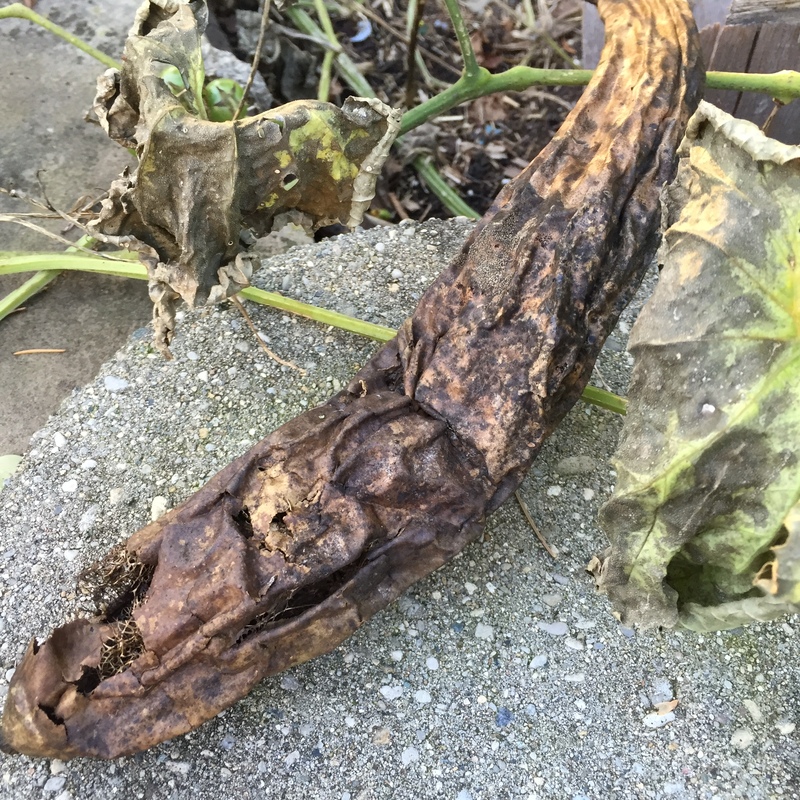 I’ve read that loofah can have a very long growing season and needs warm temperatures to thrive. We’ve been having an uncharacteristically cool summer so far, so I’m not surprised that it’s mid-July and I’m only now seeing flower buds. 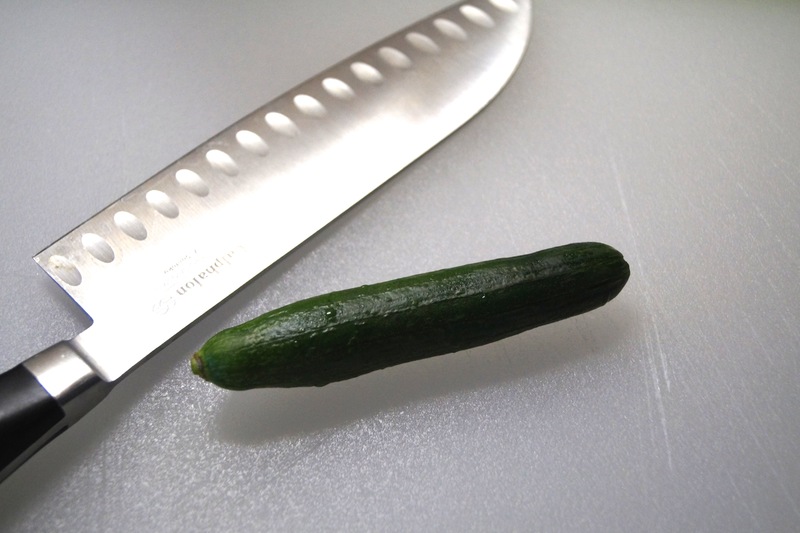 Hopefully the temperatures warm up and I get a couple of good sized loofahs by the end of the summer. 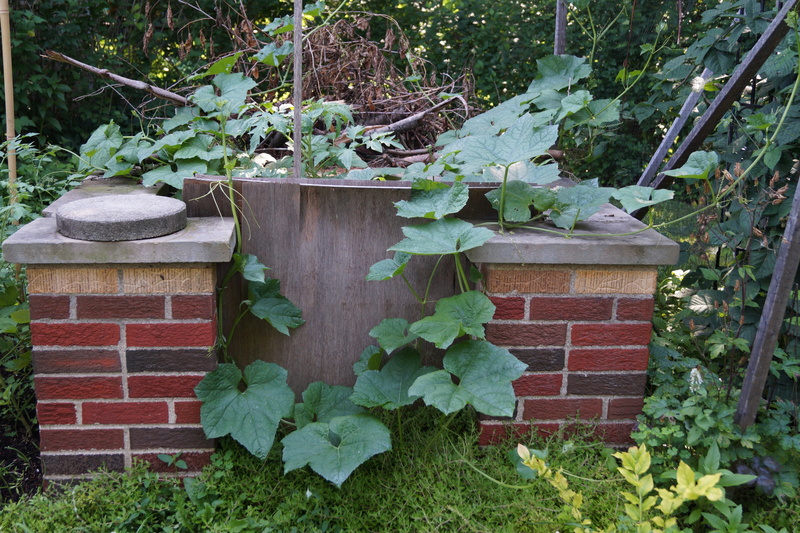 Are you growing anything fun in your yard this year? 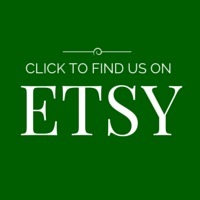 I’d love to hear about your gardening adventures! 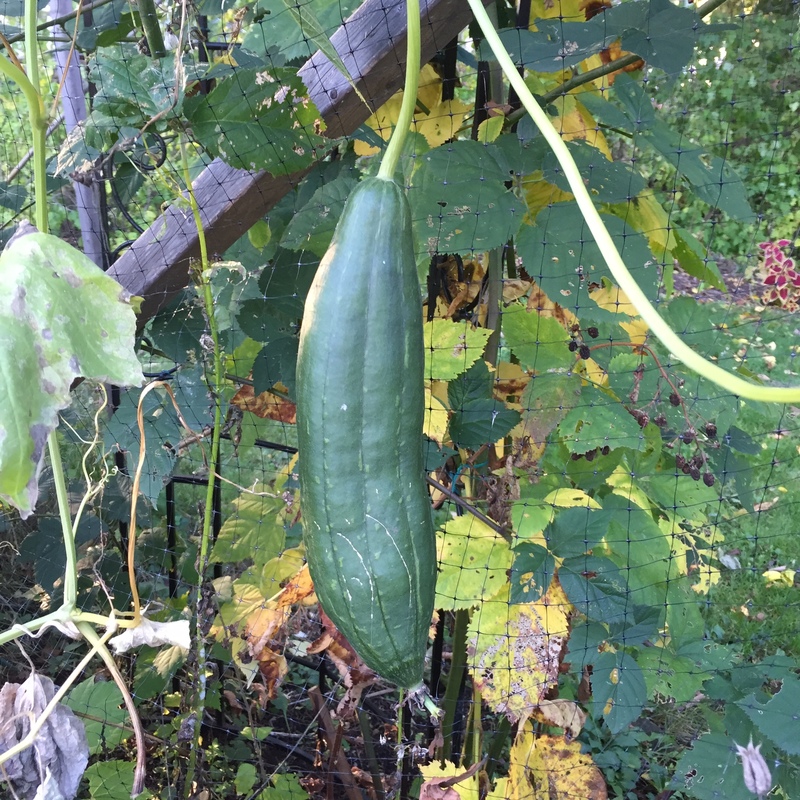 Earlier this year, I decided to grow my own loofah to use in a loofah soap project. I planted the seeds a few days ago and I’m happy to report they are already growing! This little guy is the biggest seedling so far. This was actually my second attempt to start loofah seeds this year. 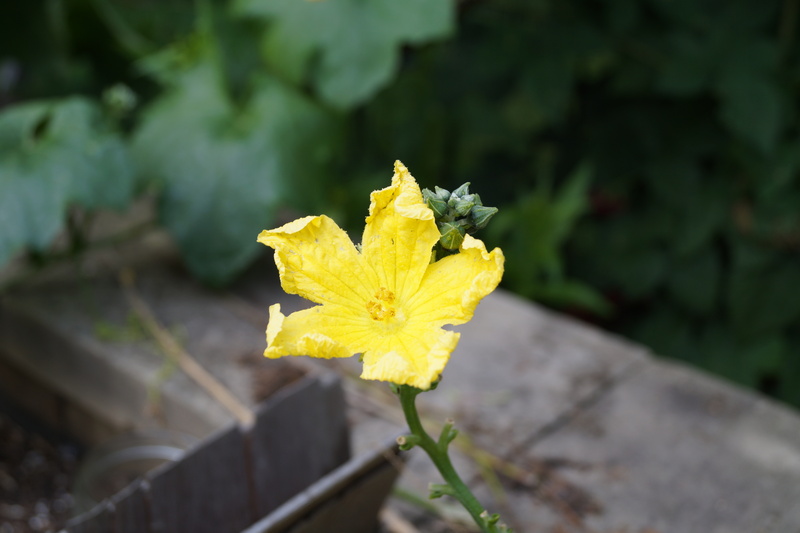 I first planted four loofah seeds in seed-starting medium and none of them sprouted. Boo. The Ohio weather has gotten better since then, so I took my experiment on the road and planted seeds in a repurposed fire pit we use as a planter. I simply stuck the seeds in the soil and hoped for the best. 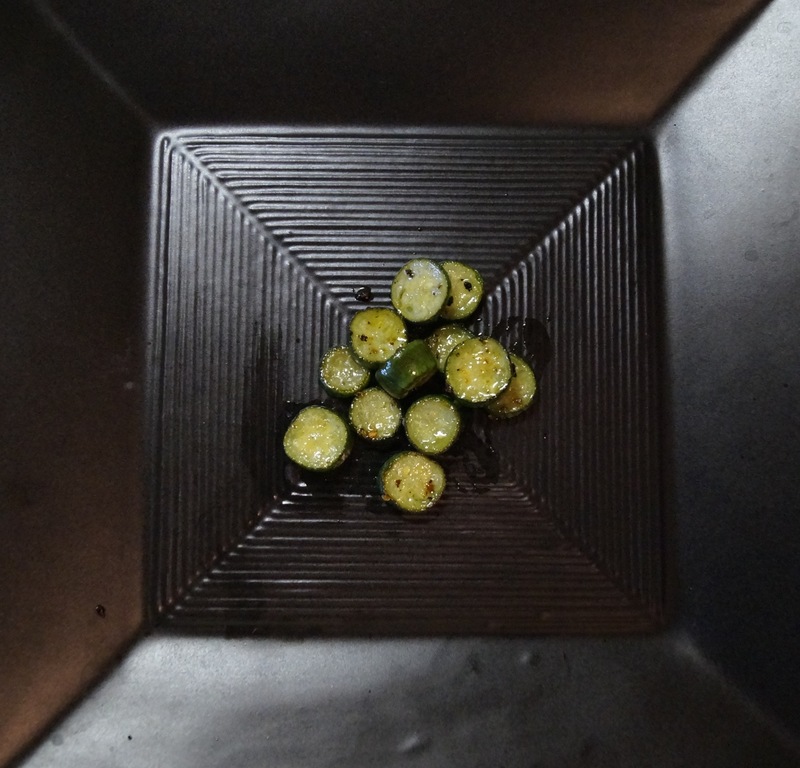 As you can see from the photo, this method was more successful–healthy seedlings! With all the rain we are getting this spring, I’m optimistic this batch will grow rapidly. I’ll keep you updated! How about you? 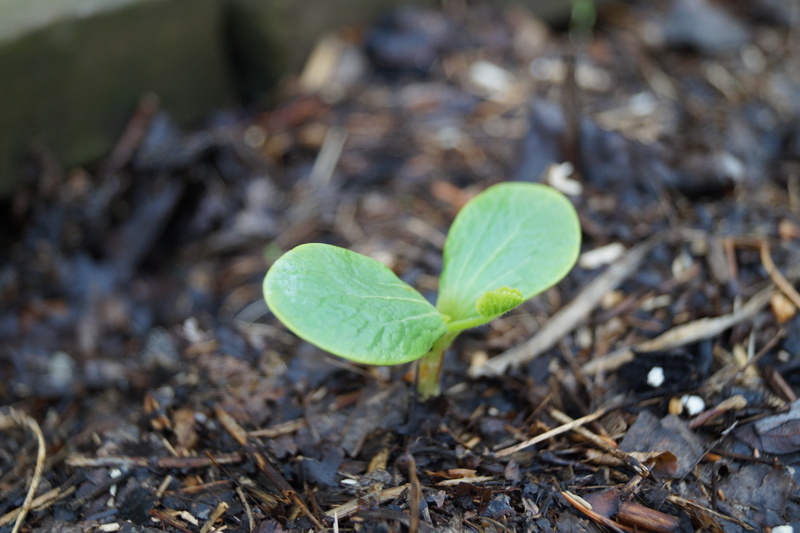 Do you start your own seeds for your summer garden? What methods work best for you?